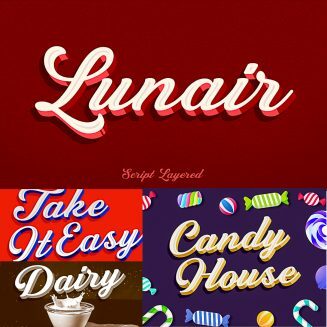 Lunair is a display script layered font. Feature the modern script layered.The base layer is regular; add an extrude and extrude shadow to create a dimensional look. The font styles can be mixed and matched together to create different style details are several fonts with a stand-alone script Base, Emboss And Inline. 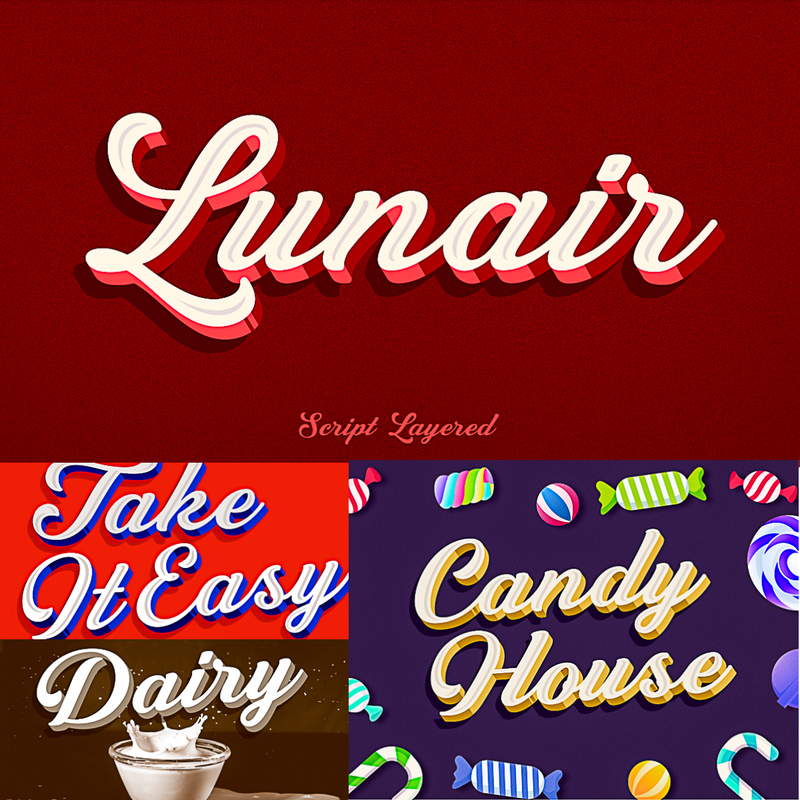 Tags: 3d layered, advertising, bold, decorative, display, display font, layer, layered font, modern script, retro font.